Beirut is the hottest party scene in the Middle-East. Fashion, exclusive clubs and an exciting music scene pack dance floors until the break of dawn. 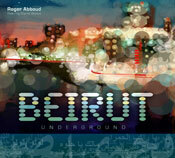 Join Roger Abboud and Charlie Abboud to discover club and chillout remixes from the Beirut Underground.